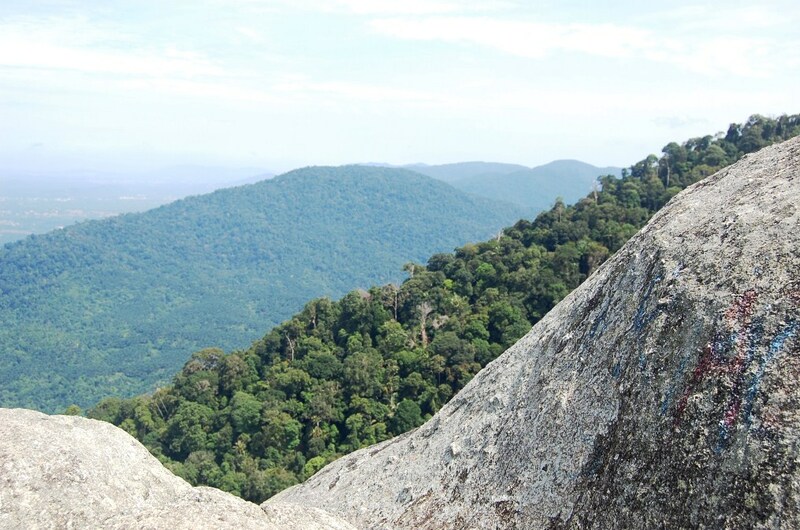 Have been hearing about Gunung Datuk ever since I started trekking but the first invite frightened me off, as my buddies were stuck in a human chain up the mountain. 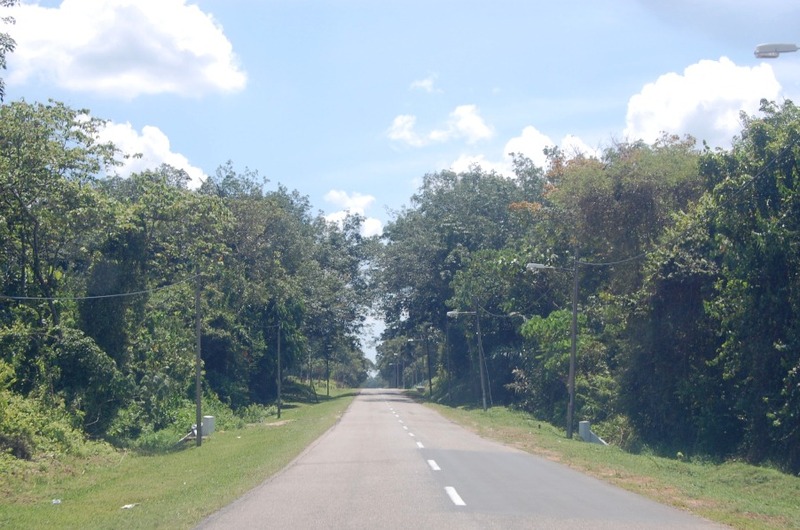 It was a holiday weekend and there was a record number of groups going up, so much so that the car park was full and cars were lining up on the road leading into the forest reserve. 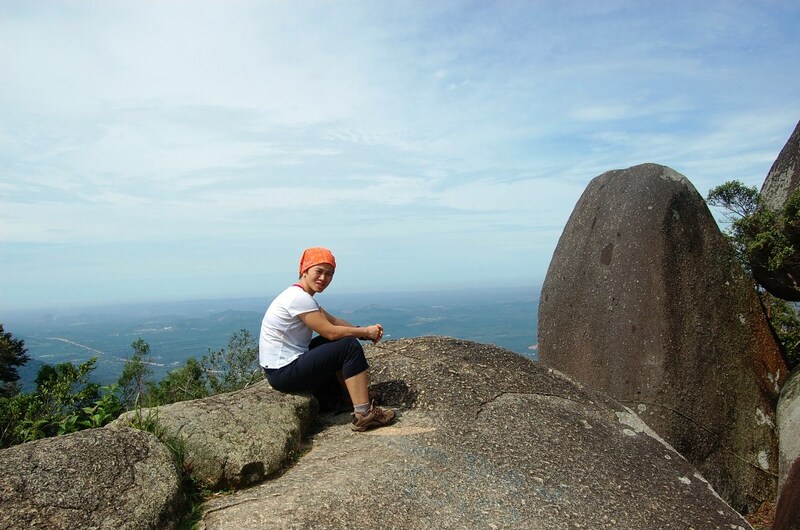 I thank my lucky stars then that I did not join the trek but stories and pictures of Gunung Datuk continued to haunt me. 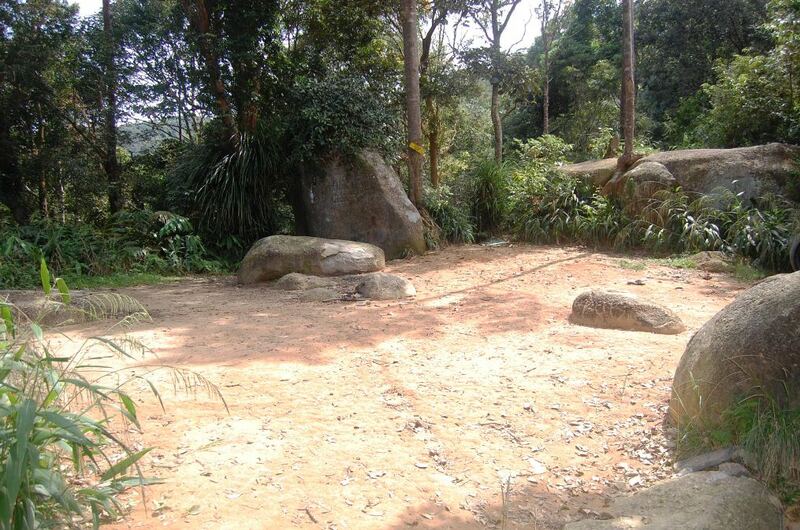 Why was it called Gunung Datuk? 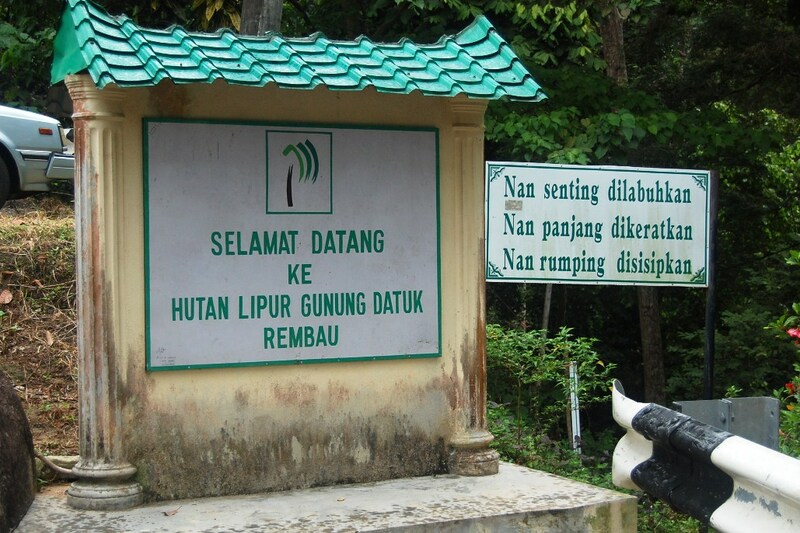 Apparently, in 1372, Dato’ Pepateh Nan Sebatang led a gathering of the local chieftains to the peak to appoint a Datuk. So it appears to be the place for datukship appointments. I laughed at the thought of the modern day datuks, having to make the hike. Perhaps, the number of Datuks will be halved. 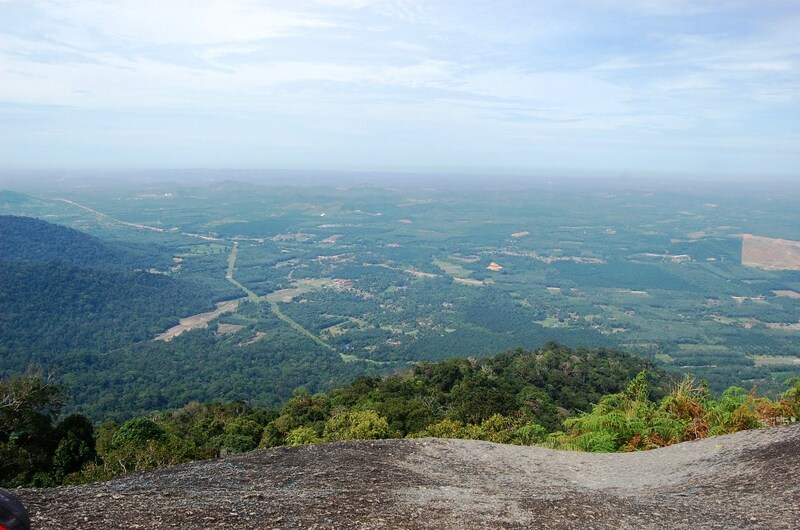 Anyway on one rainy Sunday morning, I decided to check out Gunung Datuk. Reckoned that most regular folks are comfortably snuggled underneath their comforters, May and I started out before 7.00 am from Kuala Lumpur. The drive down South to the Pedas/Linggi interchange (Exit 223) of the North/South Expressway took less than an hour. 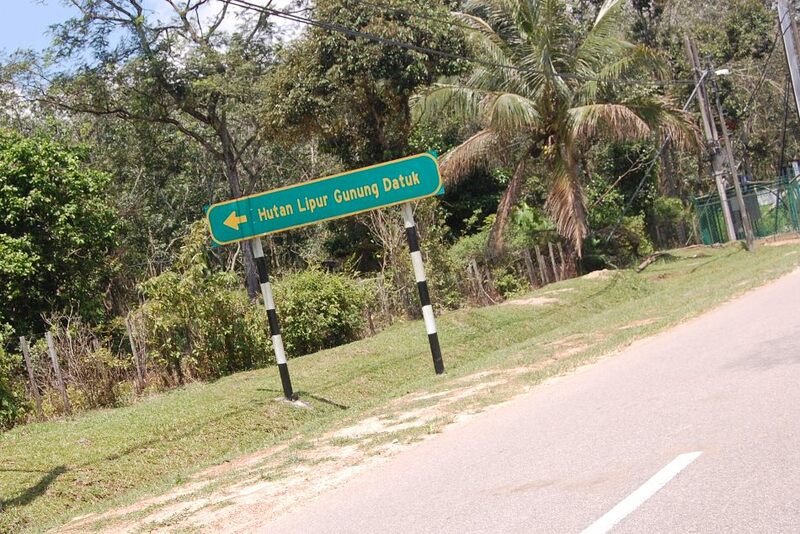 From the exit, we headed towards Rembau and we were greeted with ample road signs for Gunung Datuk. It was really a pleasant drive in quiet country roads. We arrived at Hutan Lipur Gunung Datuk at 8.30 am and found only 3 other cars parked. 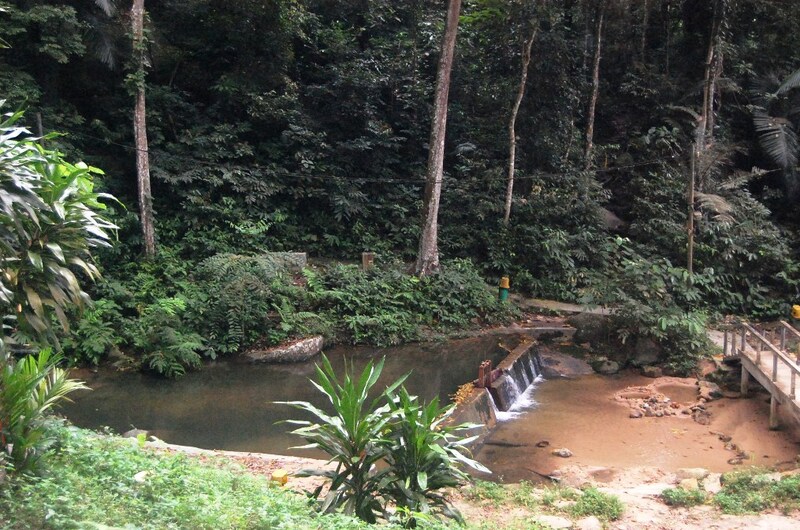 We were delighted, knowing we will have a serene trek. 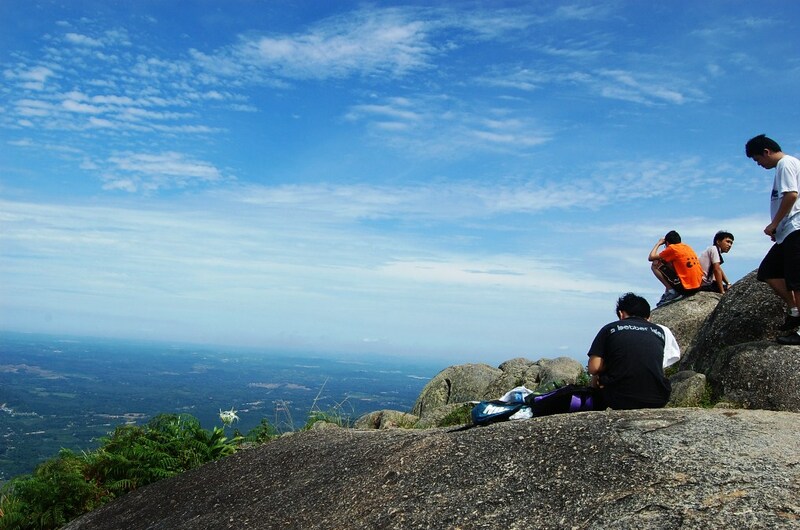 Just can’t stand a crowded trek like the Sunday Broga morning treks. 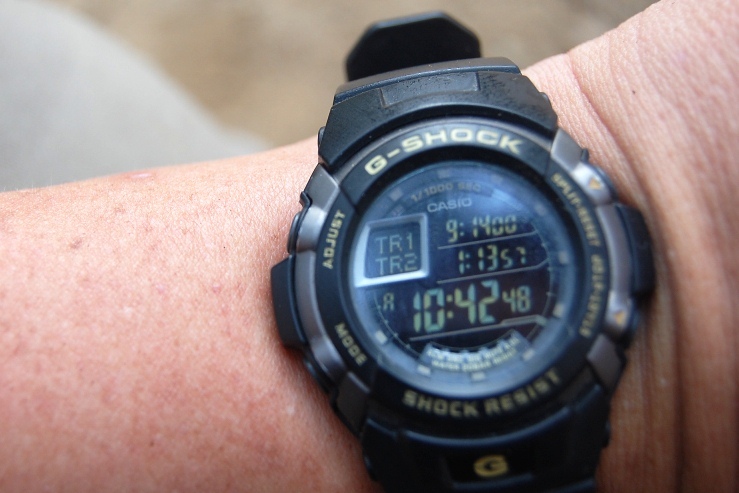 Registered ourselves and paid the RM 3.00 trekking fee and we were on our way at 8.36 am. At the side of the entrance signage, there was a cemented trail that led to the river. 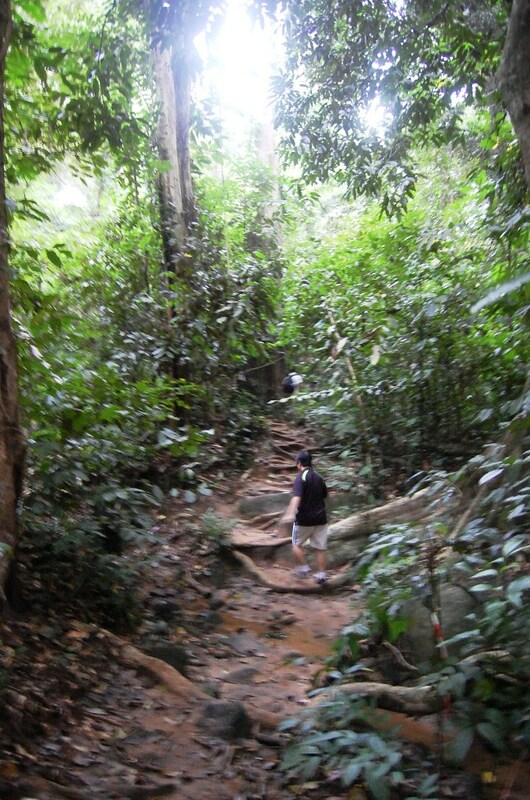 We followed the trail and crossed the river via the cemented bridge and we were at the start of the Gunung Datuk trail. 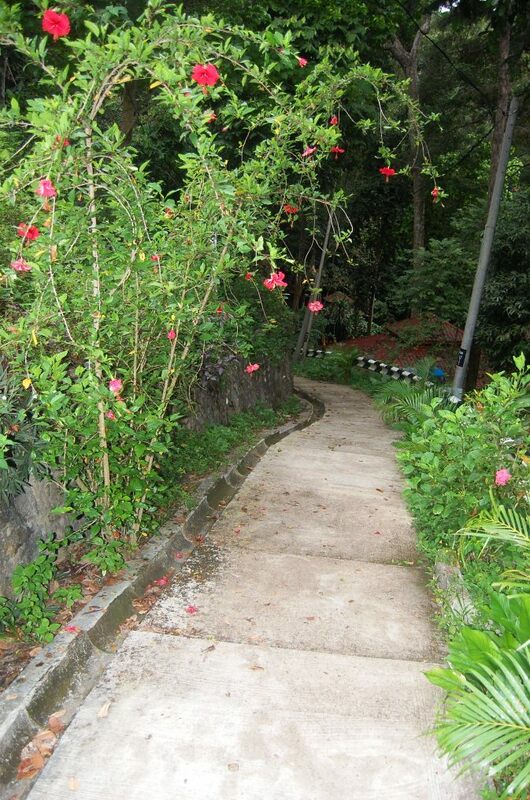 The trail was clear and wide, almost like a highway for trekkers and it went up all the way directly to the summit. There were no misleading junctions and this would be an excellent trek for first timers without guides. 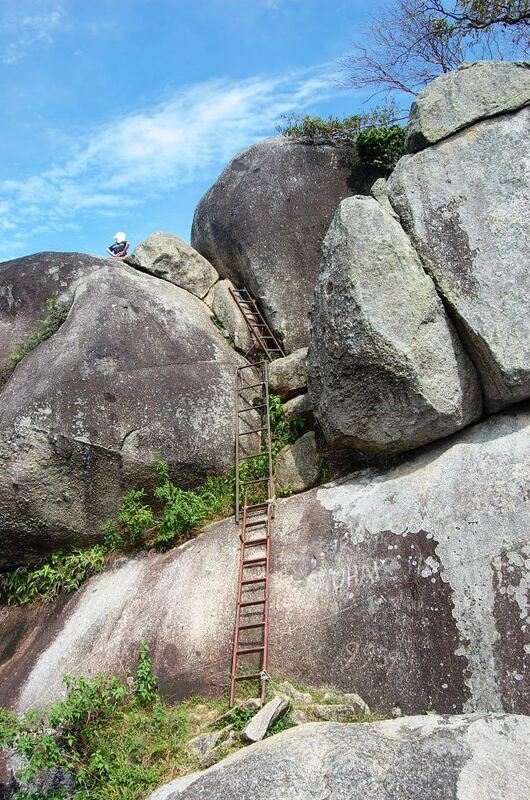 Just head upwards, do not turn into any small undistinguished treks and you can safely reach the peak. 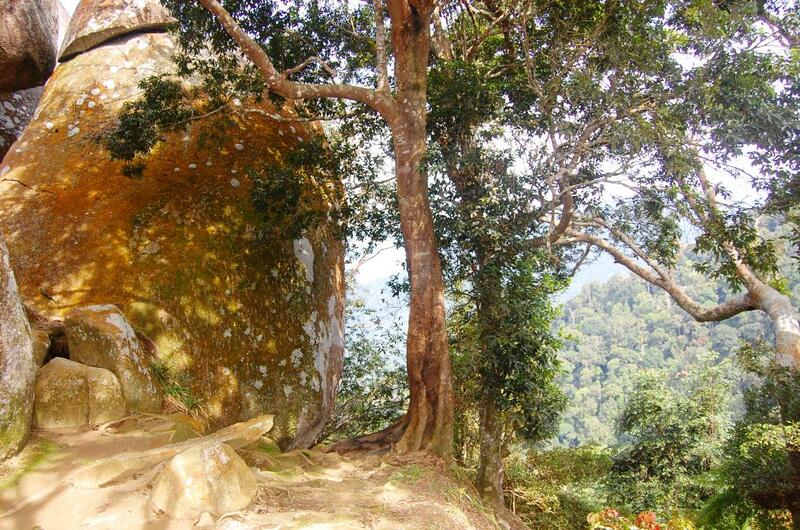 There was nothing spectacular along the trek except pure jungle and peaceful green. However if we took time off to look for the inner beauty of the wilderness, we can find an abundance of different types of flora and many small creepy crawlers on the forest floor. 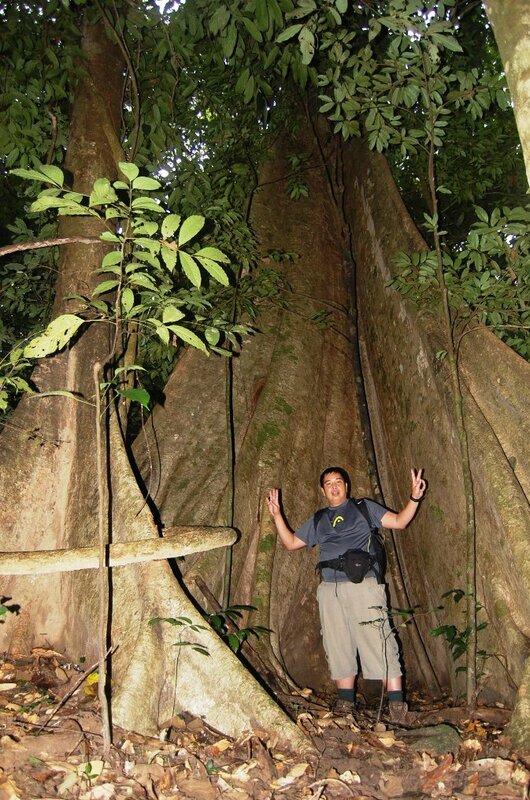 Nestled amongst the trees, we found a giant tree which was wider than the length of a Kancil. There were no leeches at all. Maybe during the raining season, you may find an odd one. The peak could be reached in an hour with brisk trekking but we plodded our way slowly catching breathers along the way while enjoying the greenery around us. After a gentle two hours six minutes’ hike, we reached the open ground where we found the giants. 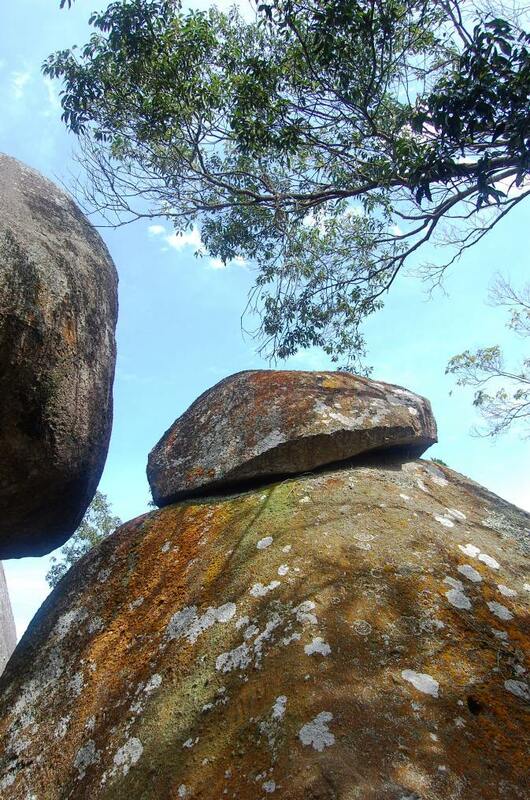 These are enormous rocks, much bigger than the ones in Broga Hill. 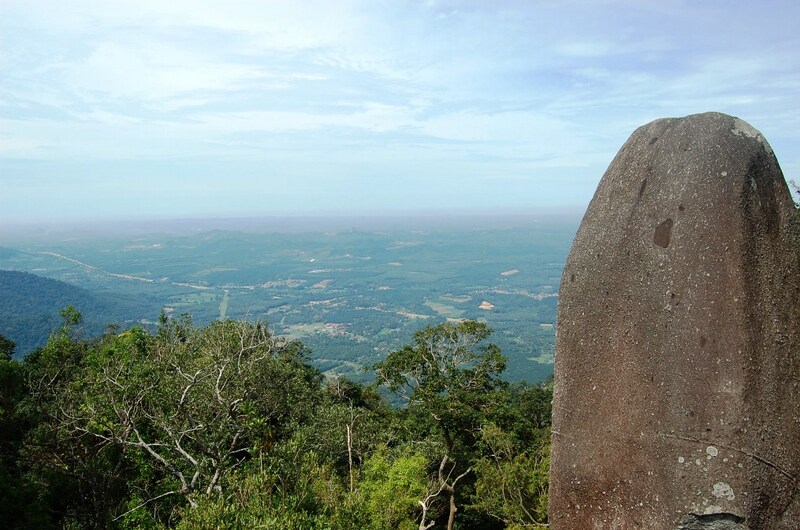 The highlight of the Gunung Datuk climb are the gigantic boulders on its peak and the 360° view standing on these giant rocks. 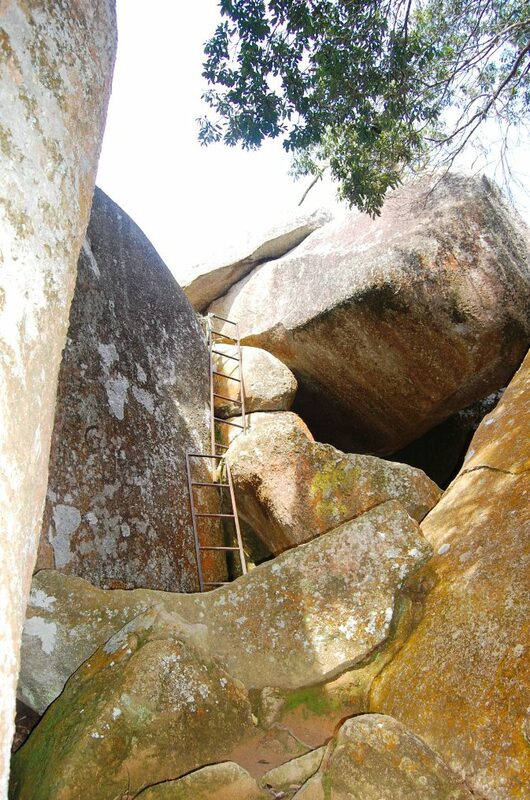 However, to get to the top, you will have to climb 6 iron ladders which are tied to the rocks. The 1st one was a breeze but the challenge lies ahead. There were voices from the top of the rocks, so we finally discovered the other hikers. I hesitated a moment at the bottom rung of the 2nd ladder but thinking of the 6 year olds and the 60 year olds who made it to the top, I can’t stand being the one that chickened out. It looked scary from far but it was even scarier from the bottom. With jittery and rubbery legs, I managed the first 2 ladders with some effort. The next 3 ladders were easier than it looked. We were rewarded with a breathtaking view of blue skies all round us. It was a great finale to the two continuous hours of green foliage. We truly could see 360° all around. West View where the other hikers were gathered. It would have been perfect if the winds were stronger. We only had a very gentle breeze which was not able to appease the scorching sun. It was only 11.00 am but being a barren rock, we could feel the heat rising. We stayed for about an hour and left before the noon sun gets the better of us. Going down the ladders was truly more challenging than climbing up. 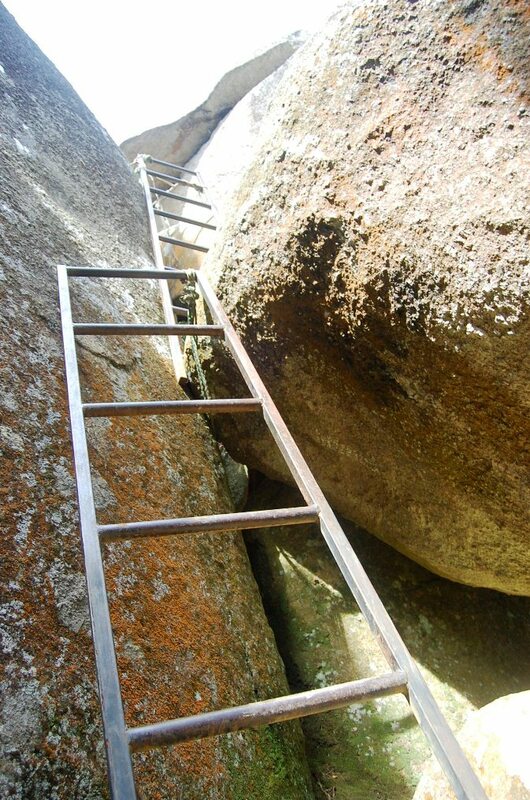 One of the ladders which I climbing down, swung when I put my weight on it. It was pulled back by the holding ropes and crashed against the rock face. This totally freaked out another hiker who was going down with me at the same time. I just held on and prayed that the ropes don’t break. I somehow managed the rest of the ladders back to the open ground without any further incidents. The going down from the open ground was much easier and we were back in the car back in an hour. 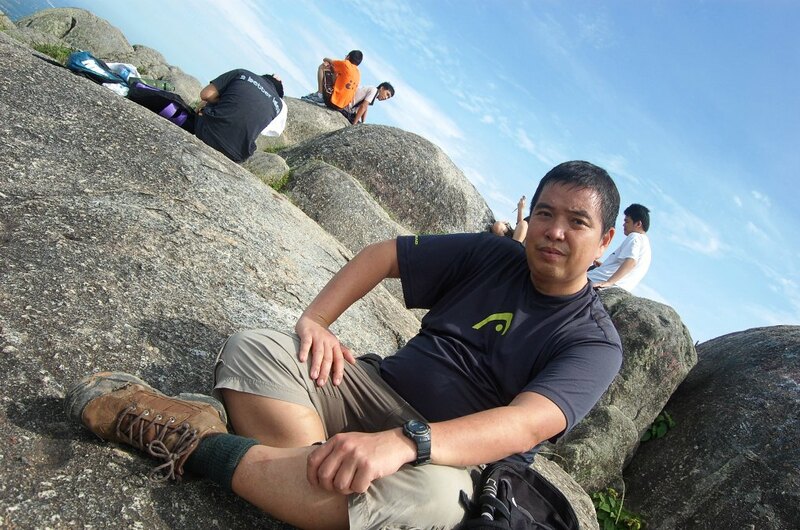 Overall, Gunung Datuk is a lovely short and easy trek. At 2,900 feet, it is one of the lesser peaks which is the ideal start for beginners before they move on to the higher peaks. The view at peak is defintely worth the drive down South. 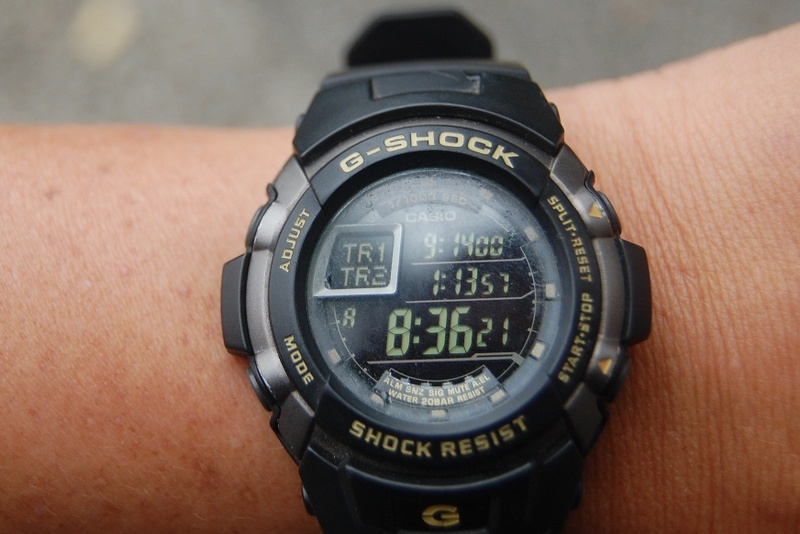 This entry was posted in Hiking, Mountains, Nature, Trekking and tagged Gunung Dato, Gunung Datuk, hiking, Mountain Climbing, Mountains, Nature, Trekking, Trekking in Rembau, Trekking in Seremban. Bookmark the permalink. Oh really?? Is that how G Datuk got its name??? Well I guess Datuks were not a dime a dozen those days….Ahahahaahahhh! Yes it is 2,900 feet! Thanks for the correction. 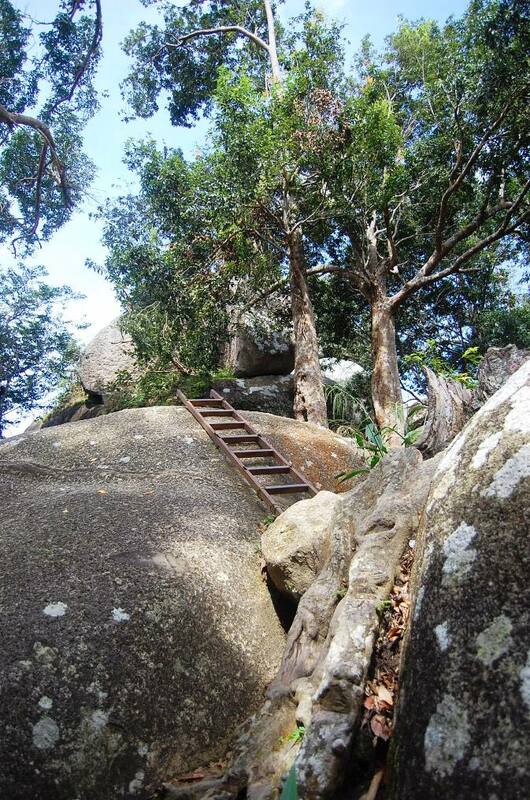 The ladders are fine if compared with the ones at Lata Kijang going up to Gunung Hantu Besar! That one is scary. do u have cntct person there?